After a 19-year run as the winningest track wheelset, the iO five spoke front and Comete disc rear wheels have been re-designed for the Rio Olympics with wider rim profiles and an overall faster design. Originally designed for the Atlanta Olympic Games, the wheels utilize a v-shaped deep rim, monoblock construction and 3k carbon weave. Since hitting the boards in 1996 the distinctive iO, paired with the Comete disc, is the winningest Olympic and World Championship wheel-system. A special edition Comete for the Seoul Olympics. The iO didn’t come until the 1996 Atlanta Olympics. The iO stood unchanged for 19 years, and now with trends in track racing moving towards wider tires, Mavic felt it was time for an update. 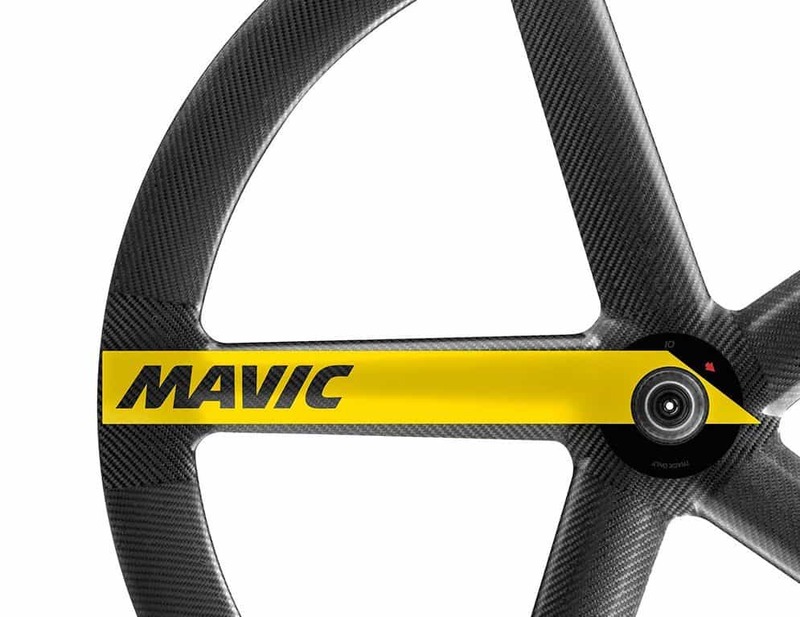 Accordingly, for the Rio Olympic Games the wheels have been updated in width, and became faster with an overall savings of up to 20 watts over previous models without compromising stiffness or weight, according to Mavic. The new Comete sees a width increase of 2.5mm. Overall width increased from 18mm to 22mm on the iO Rio, and now uses a “truncated” NACA profile for the rim. The Comete Rio width goes from 19mm to 21.5mm. Beginning on August 11th riders from the U.S. and a number of other countries will be competing on the iO Rio and Comete Rio wheels. For more information visit Mavic.